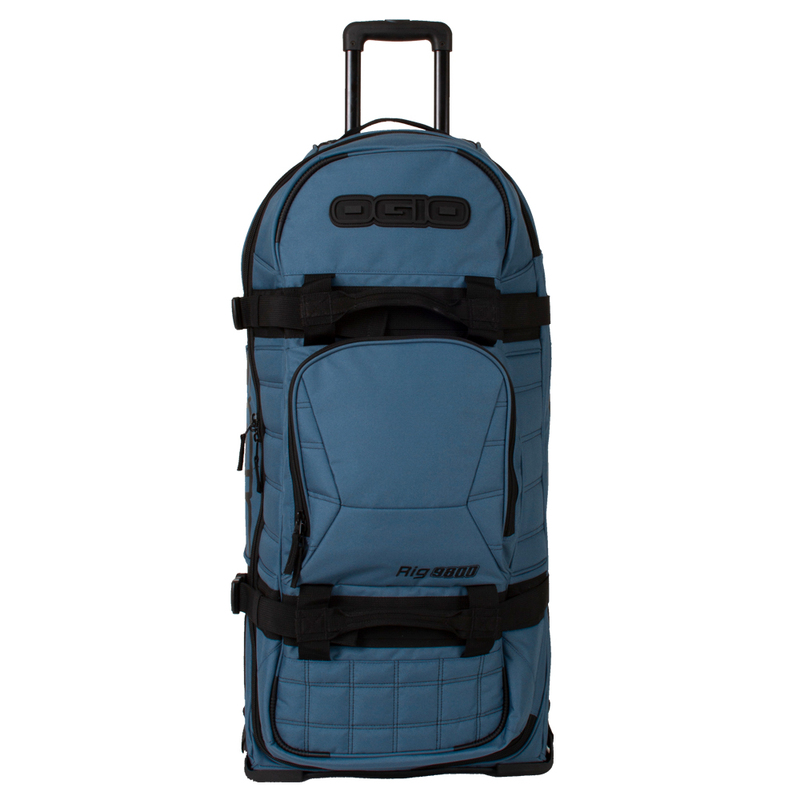 Initially designed to be a travel bag, OGIO later adapted the 9800 to function as a riding gear bag, and this balance of functionality made the 9800 into the most popular bag on the market today. 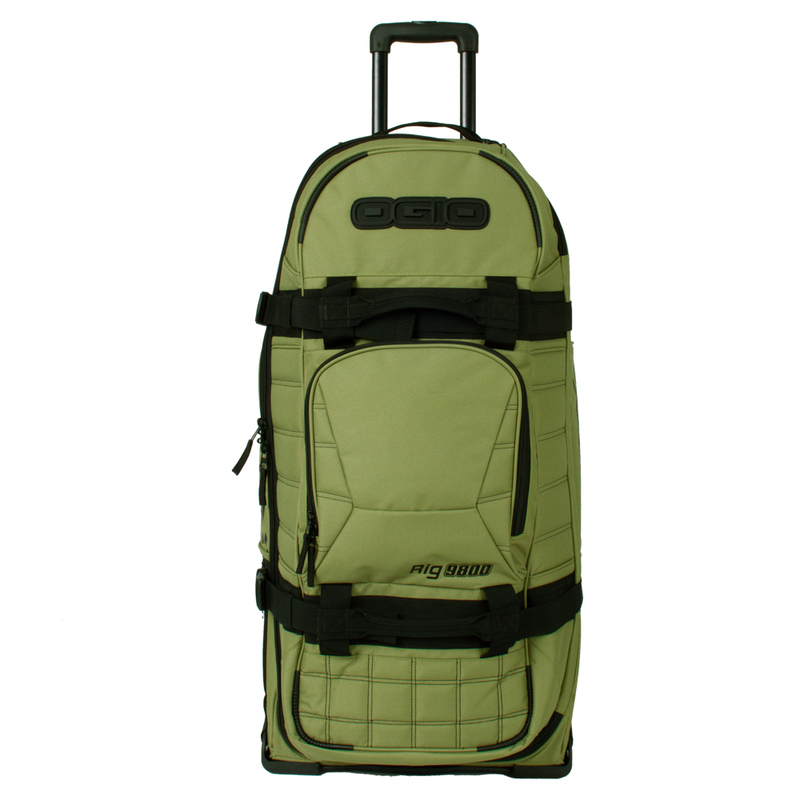 Nothing can stop you when you're toting the Rig 9800 Rolling Luggage Bag. Its durability can be found in almost every feature. 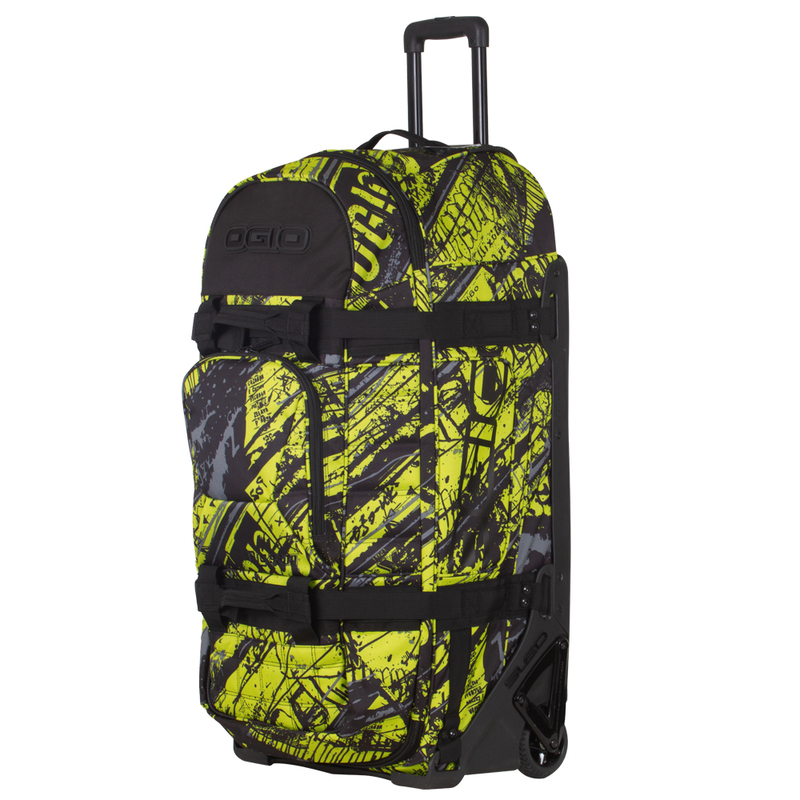 The integrated foam throughout will keep your gear safe and sound as it travels. Oversized wheels will follow you through whatever terrain you trek. 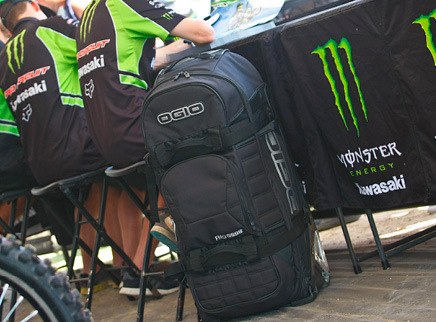 This bag has just as much grace as it does strength, though. It's easy-to-access, wide-mouth main compartment will keep your journey moving. When it's time to run, the telescoping pull handle is one step ahead of you. 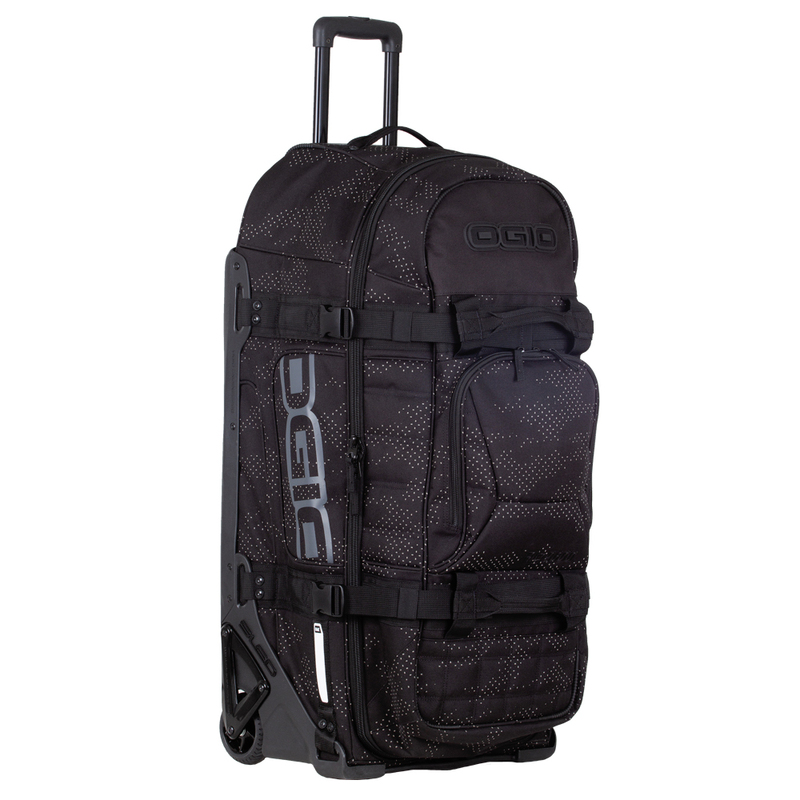 Let style, convenience, and durability join you in your next adventure, choose the Rig 9800 Rolling Luggage Bag.